MacBook Pro 13 Inch , OS X 10.9. You could probally remove and/or create sub menus for the popup menus via the settings; toolbar and menus; customisation. 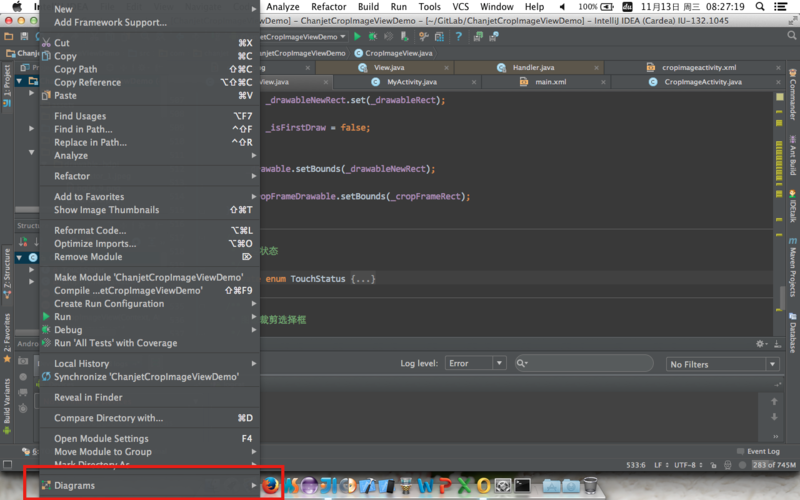 I've noticed than on Linux at least the font IDEA 13 uses for the IDE UI components is larger than in IDEA 12. Suspect it's related to more hi-res monitor usage? Thanks, I'll take a look on my Mac OS X 13"